As of now, the Vols have the No. 1 offensive tackle in the 2019 class. At least according to the updated rankings on 247Sports. After summer camps finished up, the recruiting analysts at 247Sports went through and updated their rankings for the top 250 or so players in their database. This isn’t a complete revaluation of all the prospects in the 2019 cycle, but it’s an update for some of the top players in the class following Nike’s The Opening and other summer camps. And some of Tennessee’s commits made some huge jumps in the rankings. 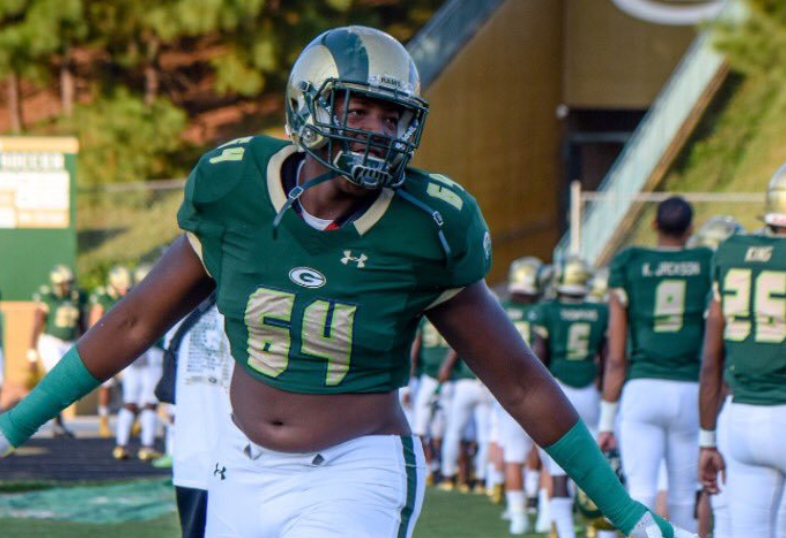 Five-star offensive tackle Wanya Morris was already one of the top offensive linemen in the 2019 class, but the recent update to 247Sports’ rankings put him among the elite. He rose 48 spots in the regular 247Sports rankings and is now the No. 14 overall player and 2nd-rated offensive tackle according to their rankings. But he’s rated as the top offensive tackle in the class and the No. 6 overall player in their composite rankings, which take into account Rivals and ESPN rankings as well. So after those updates, the Vols can now claim they have the top offensive tackle prospect in the 2019 class currently committed to them. Morris unseats fellow five-star tackle Darnell Wright for the No. 1 offensive tackle spot. Wright, who is one of Tennessee’s top remaining targets in this cycle, fell slightly to No. 7 overall and the No. 2 offensive tackle in the composite rankings. But Morris wasn’t the only Vol commit to make a drastic climb in his rankings. Wide receiver Ramel Keyton made one of the biggest jumps in the update on Thursday. The four-star receiver out of Marietta, Georgia leapt up 66 spots to the No. 104 overall player in the 2019 class and 17th-rated wide receiver. He’s now the No. 137 overall player and No. 24 receiver in the class according to the composite rankings. Both Morris and Keyton performed well at Nike’s The Opening last week, and that’s why their rankings have risen so much. Tennessee quarterback commit Brian Maurer also performed at a high level, but his rankings haven’t been updated yet because he was rated outside the top 247 overall recruits on 247Sports prior to the update. Four-star safety Anthony Harris fell two spots to No. 134 overall, and four-star offensive lineman Jackson Lampley also dropped two spots to 229th overall. Harris is now the 200th overall prospect in the composite rankings while Lampley is the No. 227 overall recruit. After the updated rankings, the Vols now have the No. 18 recruiting class in the 2019 cycle per 247Sports. That’s good for just ninth in the SEC, however. The Vols’ average rating of .8993 per recruit on 247Sports is the 13th-best average in the 2019 class.